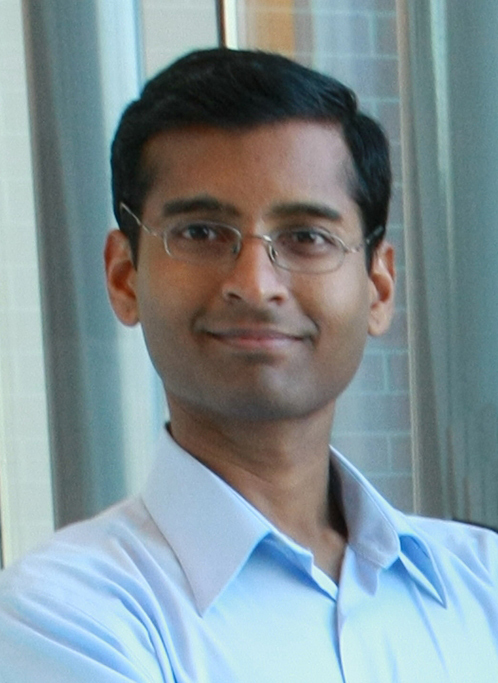 At PNNL, Krishnamoorthy primarily conducts research involving parallel programming models, fault tolerance, and compile-time/runtime optimizations for high-performance computing. In 2013, he received a U.S. Department of Energy Early Career award, granting him $2.5 million over five years to explore exascale computing advancements. That same year, he also received PNNL’s Ronald L. Brodzinski Award for Early Career Exceptional Achievement. In addition, his work has been well decorated by the community, earning Best Paper awards at the 2004 International Parallel and Distributed Processing Symposium (IPDPS) and 2003 International Conference on High Performance Computing (HiPC). He also served as a co-author of the Best Student Paper awarded at IEEE Cluster 2014. He has more than 80 peer-reviewed conference and journal publications with a notable 11 papers accepted overall by the International Conference for High Performance Computing, Networking, Storage and Analysis (SC conferences). Recently, he scored his fourth paper in a row accepted at ACM’s (SIGPLAN) Conference on Programming Language Design and Implementation, known as PLDI. In another noteworthy turn, Krishnamoorthy was invited to present the keynote address at the 2016 X10 Workshop, a forum for programmers, developers, researchers, and educators who implement the X10 programming language. His X10 keynote, “Tracking and Constraining Work Stealing Schedulers,” will be on Tuesday, June 14, 2016 at 1:30 PM. The X10 Workshop is being held in conjunction with PLDI in Santa Barbara, Calif.
Before joining PNNL in 2008, Krishnamoorthy earned both his M.S. and Ph.D. in computer science and engineering from The Ohio State University.